Meade Zero Image Shift Electronic Micro-Focuser #07080 for the Meade LX200-ACF, LX600, and Meade LS models. 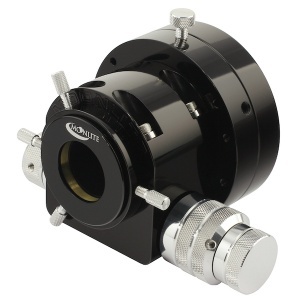 This high precision, ultra smooth focuser allows you to obtain an extremely accurate image focus. Perfect for astrophotography or during high power planetary observation. Focus is controlled through the existing Autostar II or Autostar III handbox of the telescope. 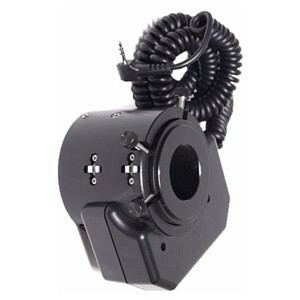 This very high quality accessory securely mounts to a thread-on type adapter (included) to the rear of your telescope. 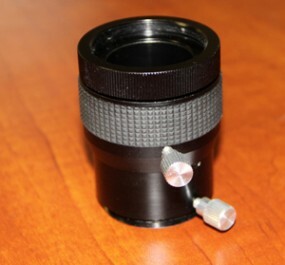 The diagonal or camera (not included) then inserts into the Micro-Focuser which has approximately 1/2 inch of travel. Coarse focus is achieved conventionally through the telescopes focus knob. The Micro-Focuser is then used to achieve a more precisely focused image via the keypad, without image shift or shake. 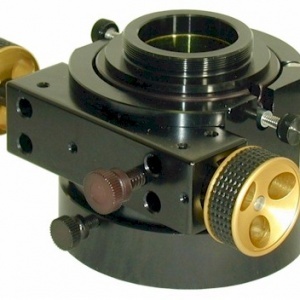 Includes focuser with adapters for the rear of any Meade LX200-ACF, LX600, or LS model telescope and cord to plug into the focuser port of the telescope. 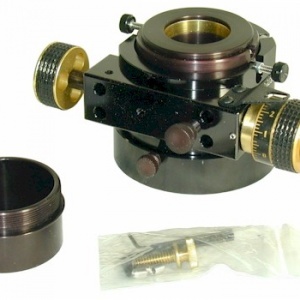 This focuser is also compatible with LX200GPS models. Not compatible with LX200 “Classic” or Meade LX90 models.